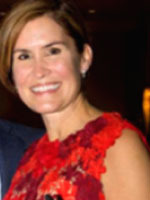 Dr. Nicole Feddersen is a 1994 graduate of Iowa State University College of Veterinary Medicine. She then went on to practice in Charlottesville, Va. at Albemarle Veterinary Hospital. Dr. Feddersen moved back to the Midwest and practiced in Chicago at Blum Animal Hospital. She was also active in the Chicago Veterinary Medical Association. After relocating to New Jersey, she spent the majority of her career at Red Bank Veterinary Hospital—an emergency, referral, and general practice facility. 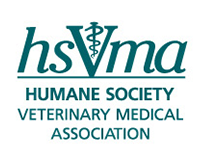 Dr. Feddersen is active in the New Jersey Veterinary Medical Association and continues to be an Executive Board Member for the NJ Veterinary Foundation. In addition, she is a founding member of Save U.S. Pets Foundation. Dr. Feddersen helped with the rescue effort during Hurricane Katrina, and that passion has led to her current position as the Medical Director for the Monmouth County SPCA in Eatontown, N.J. In her free time, Dr. Feddersen enjoys spending time with her family, friends, and her rescued cats and dogs.